The North's rugby league side, captained by ex-Great Britain legend Keith Senior, will challenge the South's rugby union side, captained by our very own England Rugby World Cup winner Mike Tindall, in the battle of the codes. 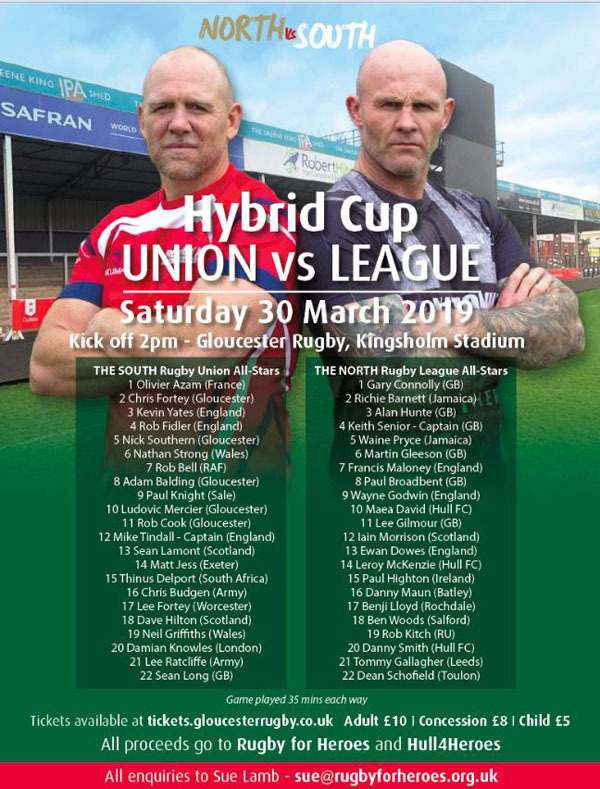 Thirty five minutes of rugby league followed by thirty five of Union ... at stake is the Ideal Boilers Hybrid Cup. It is in aid of Rugby for Heroes and Hull4Heroes, two charities passionate about supporting military personnel as they make the challenging transition to civilian life. Tindall and Senior will be representing the Rugby for Heroes charity in their capacities as patron and ambassador respectively. Kick off is at 2.00 and tickets are just £10 for adults, £5 for children.